"I don't know where I'm going from here, but I promise it won't be boring." This quote, delivered by David Bowie at Madison Square Garden on his 50th birthday, is an apt description of the twists and turns of his influential career. A true chameleon of the stage, Bowie blazed his way across the universe of rock, continually reinventing himself and shifting into new looks and personas. A renaissance singer, songwriter, and performer, he shattered all norms and boundaries, forever changing the music and film scene before his untimely passing in 2016. Although Bowie left this terrestrial world all too soon, his spirit lives on in the music and the imagery he spent decades creating. Morrison Hotel Gallery is proud to celebrate David Bowie's life with BOWIE, an exhibition and sale of the mostly highly prized photographs chronicling his stellar career. BOWIE will open to the public February 23rd and runs through March 23rd, 2018. "After almost two decades of expertise in curating the shows of great artists, Morrison Hotel Gallery is very excited about this exhibit," says Casey Fannin, director of Morrison Hotel Gallery's Los Angeles location. 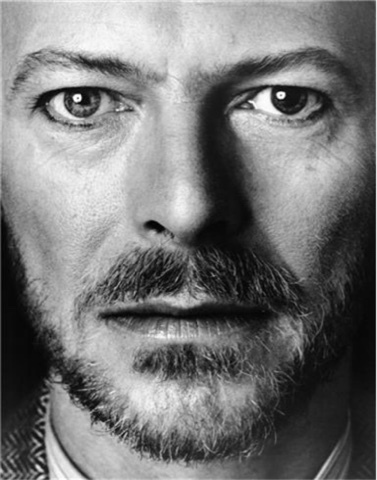 "BOWIE will feature photographs from some of his most iconic personas. From his start as Davy Jones to his gender-bending turn as Ziggy Stardust. His performance as The Man Who Fell to Earth, and his transformation into the Thin White Duke. David Bowie, and the photographers that captured him on film, deserve to be celebrated. This is the perfect way to start off the exhibits and sales we're going to have this year." The exclusive exhibit and sale will feature the photographs of Duffy, Gerald Fearnley, Lynn Goldsmith, Bob Gruen, Guido Harari, Markus Klinko, Geoff MacCormack, Terry O'Neill, Neal Preston, Mick Rock, Masayoshi Sukita, Barry Schultz, and Barrie Wentzell. Morrison Hotel Gallery is honored to have the opportunity to showcase the exceptional work of these photographers while chronicling the career of a groundbreaking artist who forever changed the music scene. Bowie's energy and bold style drew the lenses of the talented photographers who worked with him both on and off stage. They captured electric performances, candid, behind-the-scenes photos of him casually hanging out with fellow icons Iggy Pop, Trent Reznor, and Tina Turner, as well as crafting highly stylized shots that were to become legendary album covers. The staff at Morrison Hotel Gallery in Maui - located at Mick Fleetwood's beautiful restaurant and entertainment venue on Front Street, Fleetwood's General Store - is equally excited about the exhibition and sale. "We are thrilled to bring the BOWIEexhibit and sale to Maui," gallery manager Ario Pardee said. "Both island locals and guests visiting from all over the world will come together to share in this fantastic experience." "An enigma and masterpiece of his own creation, it's no secret that the multitudes of David Bowie have redefined the very essence of rock & roll," said Marcelle Murdock, director of Morrison Hotel Gallery in NY. "From the Aladdin Sane album cover shot by Duffy to the intimate portraits of Geoff MacCormack, this exhibition explores the late artist in his countless angles and identities. As much a tribute to the man, the myth and the iconic moments that forever changed the music world as a celebration of the photographers that have immortalized the legend in glitter and glory, BOWIE is bound to be this spring's most talked about show." BOWIE will open one week before the Brooklyn Museum debuts its exclusive David Bowie is exhibit featuring costumes, art, and other items from the David Bowie Archive, including a collection of photographs by the exceptional photographers whose work is available for sale at all Morrison Hotel Gallery locations. Morrison Hotel® Gallery was founded in 2001 by former record company executive Peter Blachley, music retail industry professional Richard Horowitz, and legendary music photographer Henry Diltz. In 2012, author, director and photographer Timothy White joined the team, launching an additional West Coast gallery at The Sunset Marquis Hotel in West Hollywood. In 2016, the gallery launched its third location at Mick Fleetwood's General Store in Maui, Hawaii.